Not everyone has an air conditioner at home, and even if you do, an extra boost to spread that lovely cool air around the room isn’t a bad idea. But with some fans retailing for $500 and up, you might be looking out for a better deal. 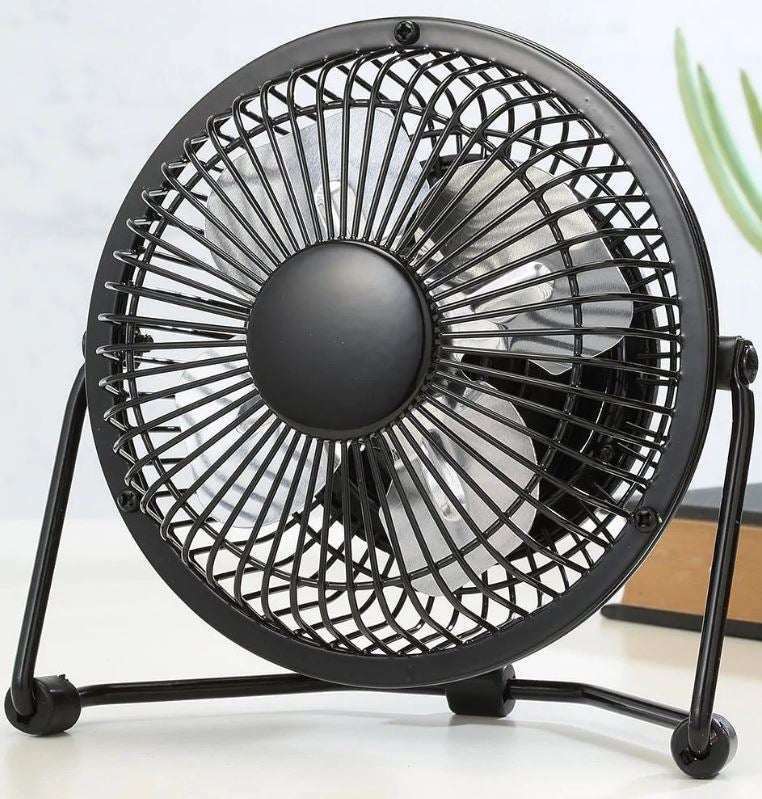 Well, if this is the case, you’ve come to the right place, as we bring you a guide on what cheap fans are available, whether you’re looking for a desk fan, pedestal, floor or tower fan. Tower fans: are vertical ‘tower’ units with tall, sleek designs that can typically slide into tight spaces. They’re aimed to distribute air more efficiently than floor fans, using a series of small blowers instead of spinning blades. We’ll be covering the following models in this review, but there’s plenty more to be had in the cheap fan department. 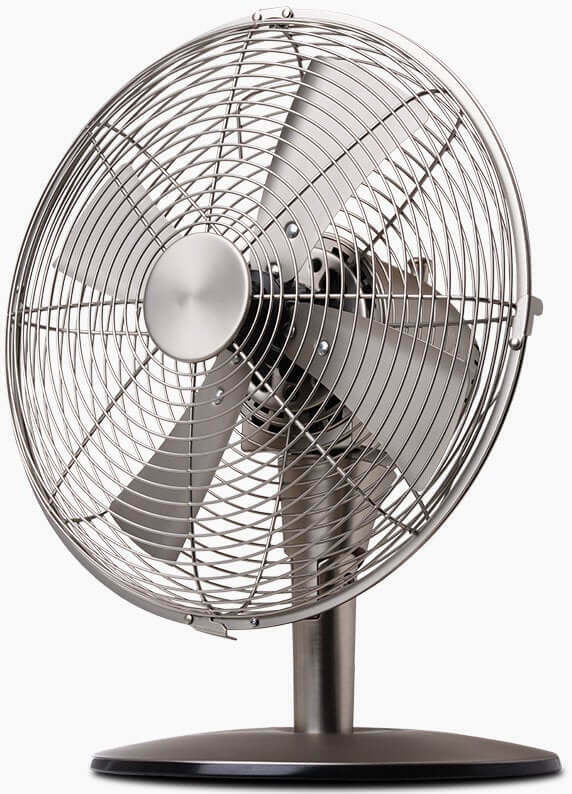 We’ve searched the web for the cheapest fans we could find at the time of writing. Source: Appliances Online and respective retailers, December 2018. Cheaper fans may be available. This 10cm USB fan from Target works via a USB connection. It has a compact design with a total height of 14.5cm and comes in a variety of colours – black, blue, pink and white. It has metal and plastic construction, plus is designed with an adjustable vertical angle and one speed setting. Just flick the switch on the back and you’re set for a bit of extra air at your office desk. For something a little more advanced, this Goldair desk fan features three speed settings, oscillation and tilt adjustment. It’s designed with a contoured neck and a slimline base, plus has a satin silver finish. In terms of power, it’s stated to provide 45W and comes with a two-year warranty for peace of mind. It’s fairly lightweight, weighing in at 3.4kg with dimensions of 495 x 130 x 375mm (H x W x D). For a pedestal option, iconic Australian department store Kmart features an adjustable 40cm model to help keep you cool on a warm day. It has three speed settings, a fixed and oscillating function, plus an adjustable tilt design. It’s stated to have been tested to applicable Australian electrical safety standards, plus for durability and performance. It comes in a standard white finish with a 12-month warranty. Apart from this model, there are a lot of other cheap fans to consider at the budget friendly store. This is another cheap 40cm pedestal fan that can be had from Target. Help keep air circulating around the room with its oscillating operation, or keep it fixed for direct airflow. It offers a maximum of 50W of power and has three speed fan settings to choose from, making it a functional and effective addition to your home to help beat the summer heat, according to Target. Similar to the model above, it has a white finish and a grill for safety. Its adjustable height goes up to 1.25m and it has a total weight of 3.42kg for easy movability. It comes with a 1.5m cord and its dimensions are 125cm x 64cm x 64cm (H x W x D). 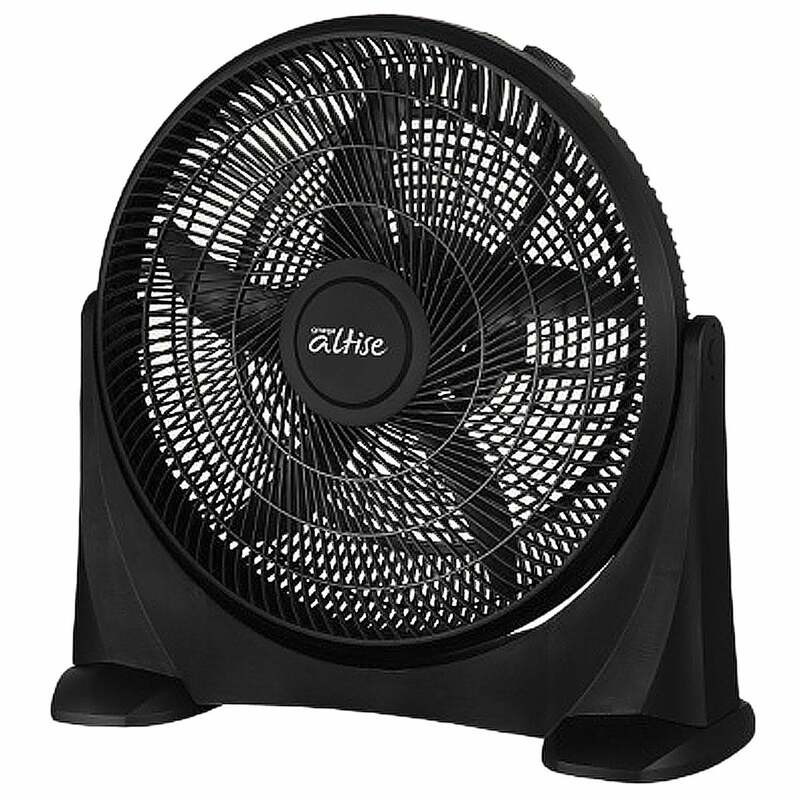 This 50cm box fan from Aussie-owned Omega Altise is designed to be placed on the floor. It’s boasted for a sturdy construction and powerful wind circulation, with 100W of power. There are three speed settings – high, medium, low – and it can be manually adjusted to tilt up and down. It has a total weight of 4kg, making it heavier than other models but it’s still fairly lightweight for easy manoeuvrability. It’s stated to have an easy ‘no tools’ assembly, plus it comes with a two-year manufacturer warranty. Its dimensions are 250mm x 600 x 610mm (H x W x D). 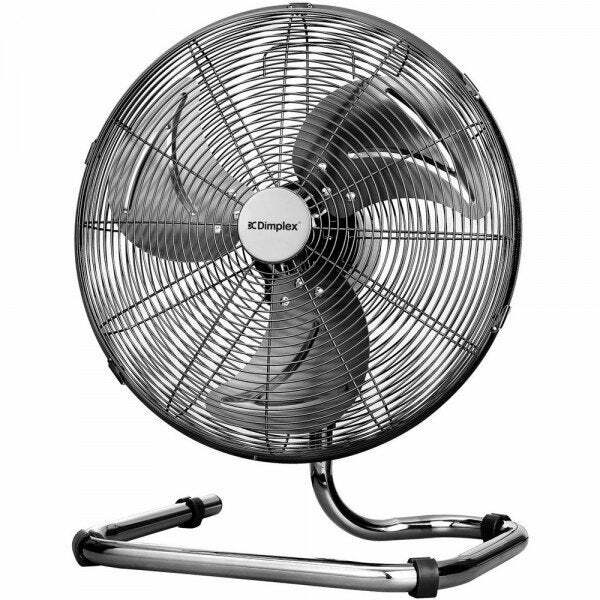 Slightly over the $100 mark, this 40cm high velocity floor fan from Dimplex comes with three speed settings, an oscillating function, and a tilt adjustable head. Expect 62 decibels of noise level, which is about the same as the sound of background music. It’s designed in a grey finish colour with rear mounted controls and carry handle for easy transportation. It’s also multi-directional with a three-piece metal blade and has a weight of 3.8kg. Its dimensions are 550 x 450 x 320mm (H x W x D) and it comes with a one-year warranty. Big W sells a few cheap Fenici fans within its line-up, including this 80cm tower fan equipped with three speed settings and three breeze modes. Its tall, sleek design gives it a modern look. Featuring a control panel with LED indicators, a remote control and a 7.5 hour off timer, this fan might be a cool addition to your living room this summer. It also has an oscillating function for even air distribution. It’s 80cm in height and comes in a white finish. Midea also offers a tower fan with three speed settings – low, medium and high. It’s designed to swing from side to side with its oscillating function and has a two-hour timer. It’s 2.8kg in weight, which makes this fan lighter than most of the other models mentioned above. Its noise level ranges from 53 to 60dB and it offers 45W of power. Expect dimensions of 763 x 240 x 240mm (H x W x D), plus a two-year manufacturer replacement warranty. For something a little different, perhaps a retro fan could enhance your home décor? 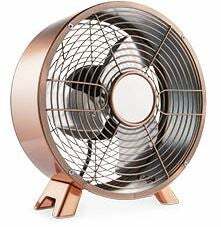 ALDI has featured a number of fans in its Special Buys, including this retro desk fan. It comes with just two speed settings, a copper motor, and three metal blades. There are a number of assorted colours to pick from – copper, black, white and light blue – plus it has a carry handle for easy movability. You might have to keep an eye out for ALDI’s catalogue to see when this fan – along with other models – will come back in store. Typically, ALDI fans come with a one-year warranty, including this one. For a stand-up retro option, you might like to consider this Fenici 40cm retro pedestal fan from Big W. It features three speed modes and an oscillation function. This might be an ideal addition to cool you down on a hot summer day while also enhancing your home decor. It has an adjustable tilt head and adaptable height of up to 138cm. For the same price, Big W also offers a desk fan in this retro design. Should I buy a cheap fan? There’s a range of cheap fans out there to help you survive the scorching Aussie heat waves. However, you shouldn’t expect the world with these budget-friendly prices. 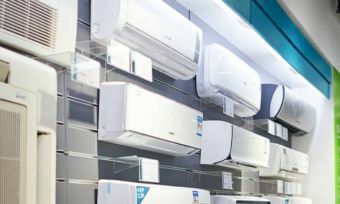 There might also be some other long term solutions you’re willing to tap into such as portable air conditioners or split systems. But if you’re keen to snap up a bargain, we hope this has been a helpful guide. And if all else fails, perhaps a trip to the beach might do the trick!